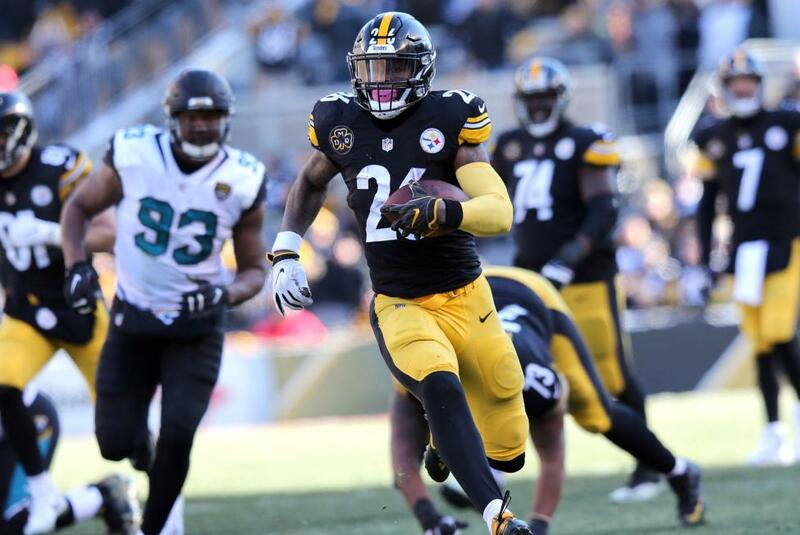 Dynamic Pittsburgh Steelers star Le'Veon Bell tops UPI's top 100 fantasy football running backs for the 2018 season. Los Angeles Rams running back Todd Gurley and Arizona Cardinals playmaker David Johnson fill in after Bell. Dallas Cowboys star Ezekiel Elliott and Minnesota Vikings back Dalvin Cook round out our top five options for the upcoming season. While most of the big name talents will come off of the board early, you'll need to keep an eye on other options if you are looking to find the next Alvin Kamara or Kareem Hunt and win your fantasy league. That is why, at UPI, we have ranked our top 100 running backs, in standard format, for your 2018 fantasy football draft kit. For clarity, here are some of the best running backs to look out for in five separate tiers, as well as some unheralded sleepers. Bell is our No. 1 overall player for the 2018 fantasy season. He has yet to report to the Steelers this preseason but will be in line once again to be an opportunity monster. Bell has at least 75 receptions in three of the last four seasons. Last year, he caught a career-best 85 passes for 655 yards and two scores. He also had a league-high 321 carries for 1,291 yards and nine scores. Bell had a league-high 406 touches and racked up 1,946 yards. Expect Bell to be ready to roll in Week 1 against the Cleveland Browns. David Johnson might have been limited to just one game last season due to injury, but there was never an issue with his legs. Johnson is locked and loaded for Week 1 and has his sights set on a lofty goal of 1,000 rushing yards and 1,000 receiving yards in the same season. For most running backs, that goal seems unrealistic, but Johnson had 879 receiving yards and 1,239 rushing yards in 2016, his last full season. That season was also Johnson's first campaign as a full-time starter. Bell and Johnson are in a class of their own when it comes to their dynamic skillset and Johnson could be depended on by his team more than any other running back this season. The Cardinals star also has four matchups against teams which ranked in the top five for fantasy points allowed to running backs in 2017, compared to facing just two defenses which ranked in the top five for fewest fantasy points allowed to the position. Dalvin Cook is our No. 5 running back this season and could even be a steal at his current average draft position. Like Johnson, the Minnesota Vikings star also had an injury-shortened 2017 season. But he looked like a star four games into his rookie campaign. Last season, Cook posted 4.8 yards per carry and ran for 354 yards in four games for the Vikings. He is a high-end RB1 and should provide a weekly advantage for your fantasy football season. Kareem Hunt exploded onto the scene in 2017, rushing for a league-best 1,327 yards during his rookie campaign. He also had eight rushing scores and 53 catches for 455 yards and three scores under Andy Reid. Look for more of that consistency from Hunt this year. He can likely be had at the back end of the first round or early second round of your fantasy football draft. While former Penn State star Saquon Barkley certainly looks the part of a future NFL star, I wouldn't recommend taking him in the first round. Yes, Barkley was a was the No. 2 overall pick in the 2018 NFL Draft, but I prefer safety in my first round selections when it comes to fantasy football. Nevertheless, if you want to take a chance on the rookie, it's going to cost you. I have the Giants youngster penciled in as my No. 9 running back for the season, based on his dynamic skillset and the opportunities he is likely to get. Out with DeMarco Murray and in with Derrick Henry. The Tennessee Titans watched Murray walk into retirement this offseason, handing the job to Henry. Last season, Henry started just twice, but appeared in 16 games. He still piled up 880 yards from scrimmage and six scores on 187 touches in a complementary role. I'm expecting big things for Henry this season and he could find his way into the top 10 by the end of the season at the running back position, based on injuries and poor performances from the aforementioned players. Cincinnati Bengals sophomore Joe Mixon is the main man in town now that Jeremy Hill is with the New England Patriots. The Bengals also beefed up their offensive line after a poor showing in 2017. Look for Mixon to get a huge workload and produce a Le'Veon Bell-lite type performance. Mixon is showing all of the signs of being a future superstar and this might be the last year you can get him at a discount. Frank Gore might be in town now, but Kenyan Drake did enough in 2017 and in training camp to hold onto the starting job for the Miami Dolphins following the departure of Jay Ajayi. Last season, Drake plowed for 644 yards and three scores on 133 carries. He also had 239 yards and a score on 32 receptions, despite starting just six games. Look for another year full of big plays from the running back and a big bump in catches as the Dolphins look to replace more than 200 receptions in the offense following several key offseason departures. "I like to have a versatile game. That's what I want to bring to this team, make plays anywhere, anytime on the field," Drake said Saturday following the Dolphins' Week 3 preseason game. San Francisco 49ers running back Jerick McKinnon is in a new city after spending the first four years of his career with the Minnesota Vikings. He is currently dealing with a knee injury, but is expected to start for the 49ers in Week 1. He enters the 2017 season as the 49ers' starting running back and should mesh well with Jimmy Garoppolo in the quarterback's second season under Kyle Shanahan. McKinnon is my No. 20 running back and is a great target if you start your draft by drafting receivers.